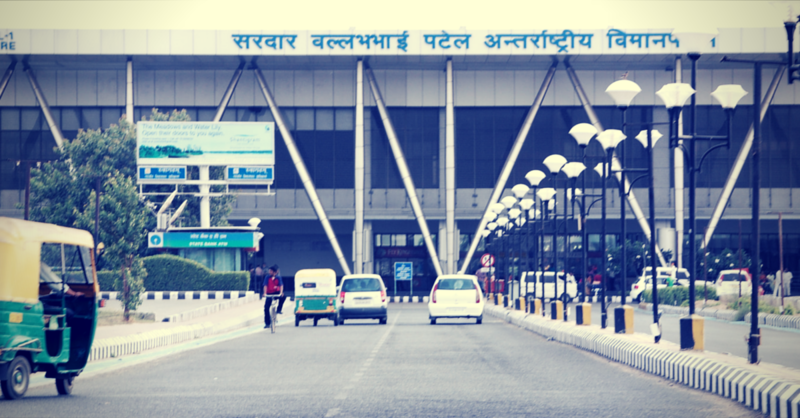 Ahmedabad Airport is also known as Sardar Vallabhbahi Patel International Airport that serves the cities of Ahmedabad and Gandhinagar in the state of Gujarat. Located 9 km from northern Ahmedabad in Hansol the airport was renamed in honour of the first Deputy Prime Minister of India. Due to expansion constraints, the airport is to be replaced by Dholera International Airport. The Ahmedabad airport started its operations in 1937, however, the international operations began in the year 1992. The airport consists of four terminals with a dedicated terminal for cargo. The Terminal 2 was inaugurated in 2010 for handling international passengers. Bus: 7 km from the Central Bus Stand. Rail: 15.4km from the Ahmedabad Junction Railway Station. The largest city and the former capital of the state of Gujarat, Ahmedabad is also known as Amdavad or Karnavati. An important economic and industrial hub, the city is located on the banks of River Sabarmati. In July 2017, old Ahmadabad was declared as India's first UNESCO World Heritage City. Popular celebrations in the city include Uttarayan (kite flying), Navratri, Deepavali, Rath Yatra and more. Ahmedabad is well-connected through air route to all major cities in India. Book cheap flights to and from Sardar Vallabhbhai Patel international airport, Ahmedabad at lowest airfare.